Here’s my top 10 movie musicals! First of all before you bombard me with “WTF” comments and critiques, i’m just letting you know that this is from a nineteen-year-old girl’s point of view so I might’ve not seen what you saw, I might’ve not noticed some things you believe are worth commenting on. Don’t take this too seriously. This list serves as a “suggestion” if you’re a sucker for musicals like me. This classic 1961 movie set in the urban streets of New York City about love and gang fights will blow you away with their dance numbers. Half of the songs weren’t that bad especially Jimmy Bryant (played on-screen by Richard Beymer) singing “Maria”, but I would say that the choreography overpowers. I would not recommend this for people who get bored easily tho. Rock musical fans this one is for you (or if you’re just a rock music fan). This musical also set in NYC, revolves around the story of the bohemians on the lower east side village. 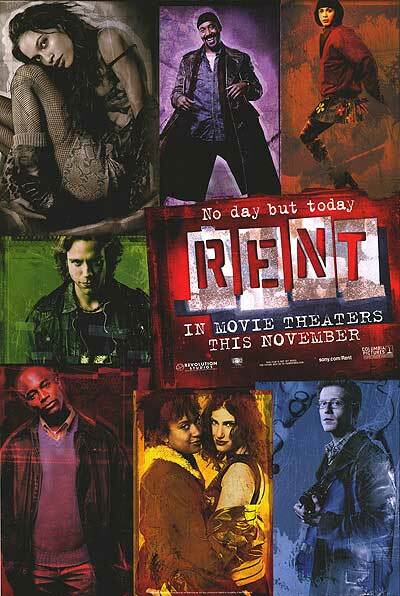 I have a handful of favorites from this movie starting with “Seasons of Love”, the astounding production of “Rent” showcasing the whole neighborhood during this number, “Will I?” which made me cry btw, “Take me or Leave Me”, “I’ll Cover You” and of course the ever great “La Vie Bohéme”. I love how they used some of the original cast members from the broadway musical. You have to applaud the 50s. A story about hollywood fame and the evolution of film, you can see the effort they put on this. Great choice of actors too! 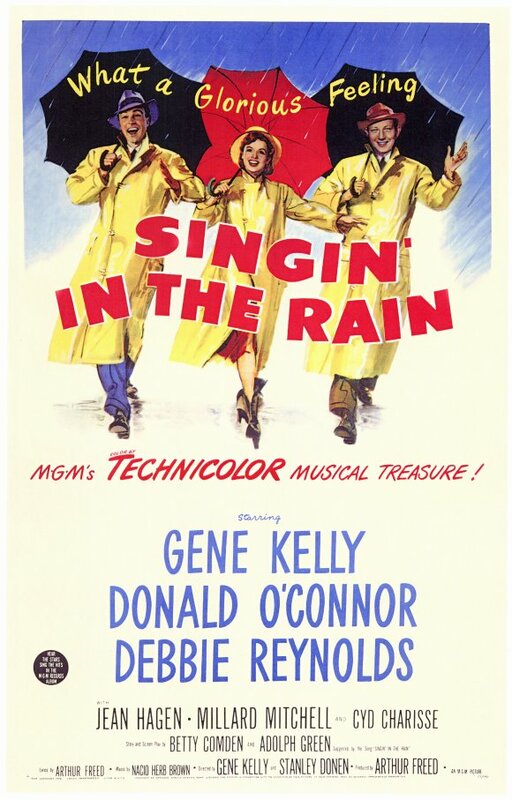 I loved Gene Kelly and Donald O’Connor’s acting and tap dancing, I actually was laughing at some parts. I was definitely singing along during “Singing In The Rain”. No wonder this was one of the best musicals ever, It was a fun watch for a modern youth like me. Everybody loves Audrey Hepburn (well I know I do). 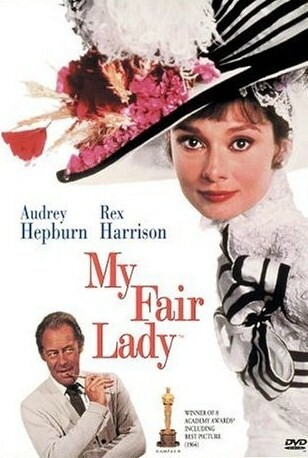 Audrey’s acting in My Fair Lady is truly exceptional, especially that she was speaking in cockney accent. She did a very good job making this movie interestingly funny. My favorites are Marni Nixon’s (singing voice of Eliza Doolittle) “Wouldn’t It Be Loverly” and “I Could Have Danced All Night”. Bill Shirley (singing voice of Freddy Eynsford-Hill) did a good job in singing “On The Street Where You Live”. We also have to give credit to the amazing costumes they used in the movie. When I was kid my parents would let me watch this over and over again, as I grew up I’ve learned to appreciate it more. 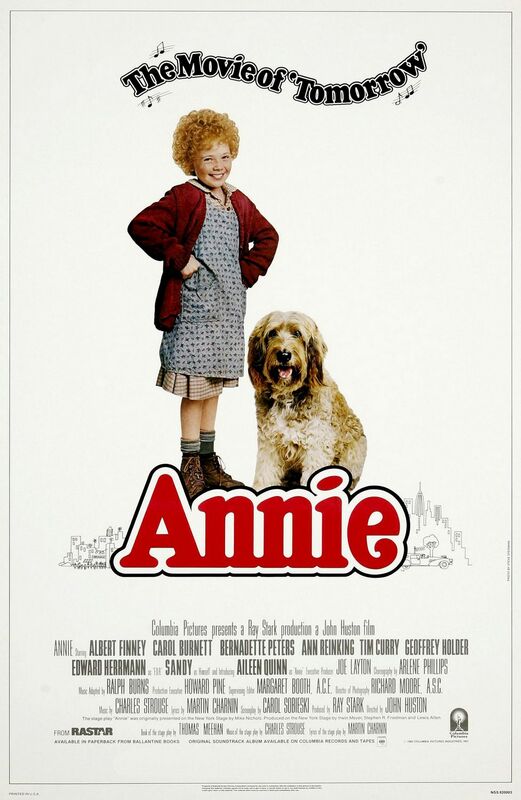 Who wouldn’t love little Annie? and if you don’t know the song “Tomorrow” well this is where it came from. I was amazed by the song numbers, my favorite would be “It’s The Hard-Knock Life”, the little girls at the orphanage did an amazing performance and they’re kids okay, kids. This will always be one of my favorites. 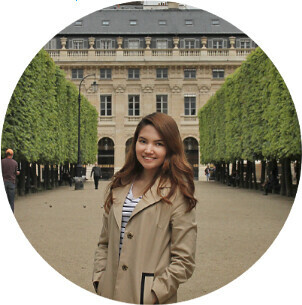 How about a little romantic comedy? It’s hard not to love Moulin Rouge. 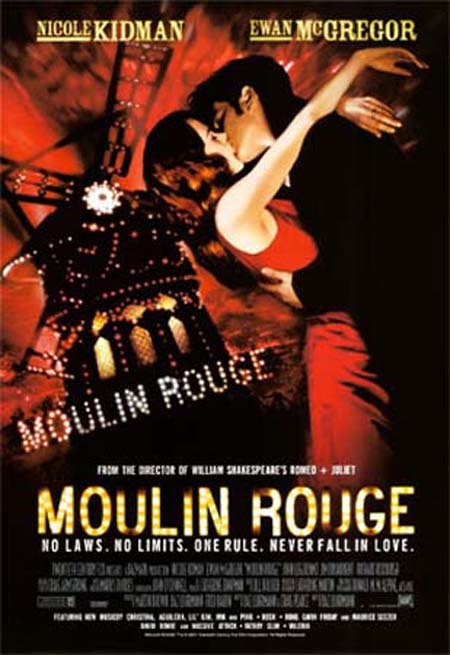 It tells the story of a young poet (Ewan McGregor) falling inlove with a courtesan (Nicole Kidman), set in Paris. The medleys will make you sing along, such as the “Elephant Love Medley”, and an original song called “Come What May” which is really sad btw (don’t worry I won’t spoil anything). 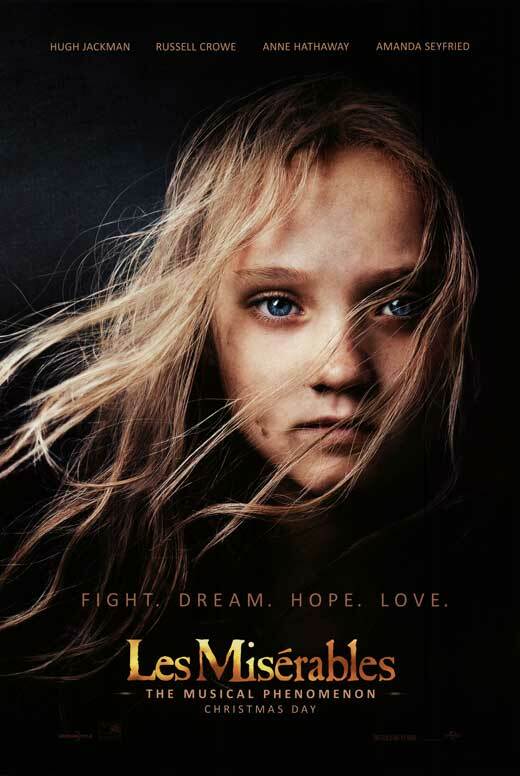 One quote you need to remember, “The greatest thing you’ll ever learn is just to love and be loved in return” I totally encourage you to watch this if you and your friends want to have a cry fest. 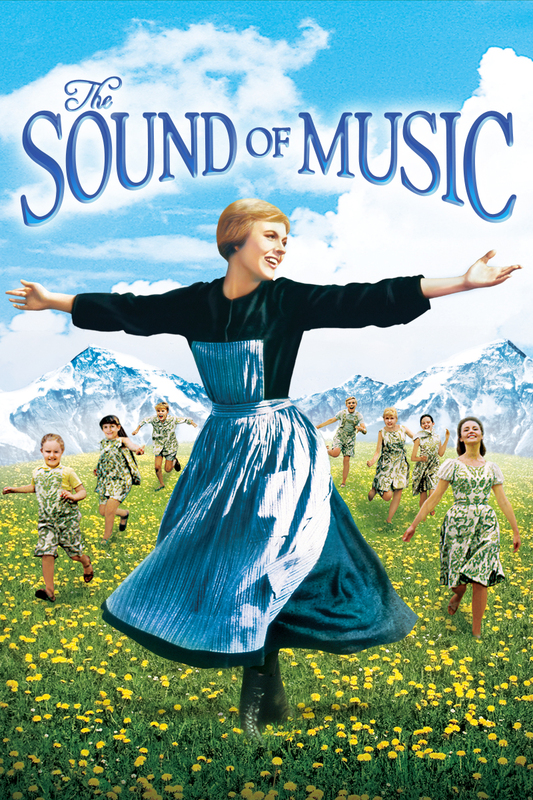 I was scanning through my parents’ VHS collection and found The Sound of Music. Truly a Julie Andrews classic! You will love the Von Trapp family. “Edelweiss” always gets me. I would love to watch this in broadway, if given a chance. Well I guess you all know how this goes. Enough said. Now you may think that this is sort of new to make it high up on my list, not to mention the advanced visuals. I loved every song! I can’t say that they had the best choice of actors though. BUT Anne Hathway’s version of “I Dreamed A Dream” is an exception. The production is A+++ and you can see it during “At The End Of The Day” and “Do You Hear The People Sing”, you can feel the hatred the people are trying to show as they sing in chorus. Oh and some of you might’ve forgotten about Enjolras (Aaron Tveit) and his angelic voice. It wasn’t an oh-so-major role but his voice is definitely for a MAJOR role. So this is really a great watch, I also cried (okay stopping now). This movie makes it to second place because T h e B e a t l e s. Even though most of the reviews I’ve read about this movie were bad, I really think it has a great story. Dash in a bit of Beatles and yes I love this movie. 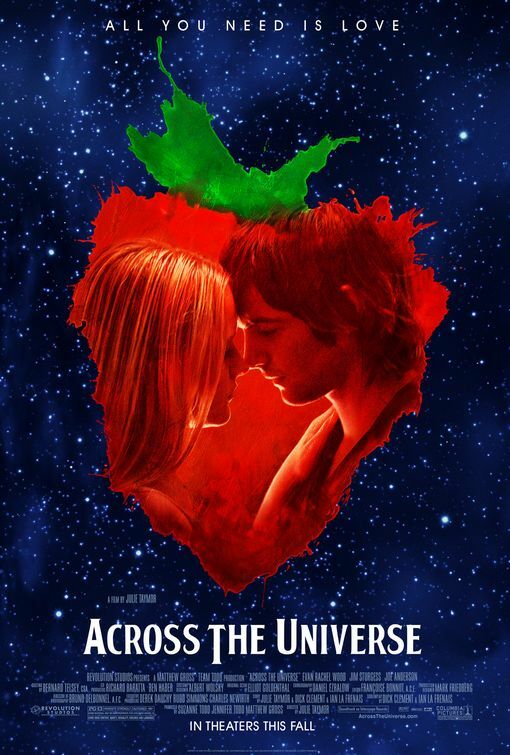 Across The Universe is a love story set during the vietnam war. Their names even have a Beatles reference such as Jude and Prudence. My feelings were overflowing with joy when they sang “Hey Jude”, Jim Sturgess was the best choice. Another reference (warning spoiler) is when they sang “All You Need Is Love” on the rooftop just like The Beatles’ last live performance in London. If you’re a Beatles fan then this is a must watch! 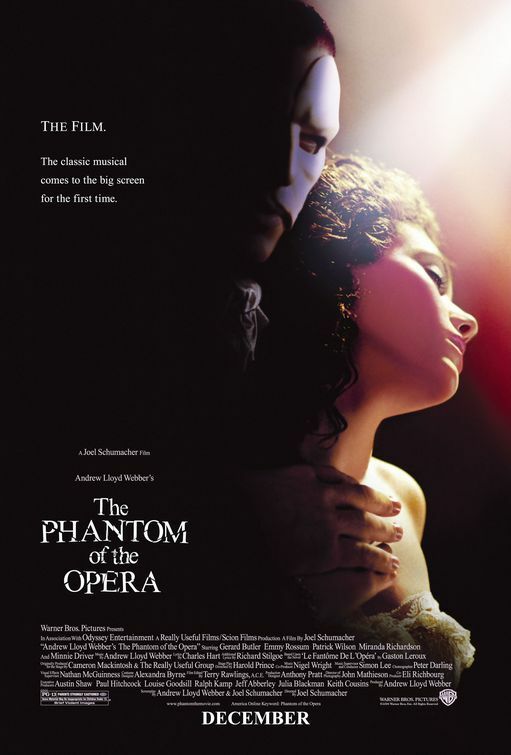 I don’t even know how to start this but The Phantom of the Opera will forever be my favorite. This is a classic I tell you. I got to watch the broadway musical in New York so perhaps I can compare it to the movie. If you’re watching the broadway musical for the first time, I suggest you watch the movie first for better understanding (coming from a youth okay). At first I thought mehhhh this is going to be a boring movie, but I was wrong. Emmy Rossum and Gerard Butler’s performance did not disappoint me at all. I think Emmy Rossum was the perfect Christine Daaé. I was drawn quickly from the very start. My favorites would be “All I Ask Of You”, “Angel Of Music”, “The Phantom of the Opera” and “The Point Of No Return”. The choreography of “Maquerade” was astounding too! Great costumes, great everything! You will feel mixed emotions when they sing the Act Finale II, and yes I CRIED SO MUCH. You’re missing a lot if you haven’t seen this yet.